Last weekend I attended the ISNZ 2014 conference titled “Agents of Change” in Auckland, along with a number of staff and Board members from St Andrew’s College. Our Rector, Christine Leighton, had asked Francesca Eathorne (Head of Communications) and myself to co-present at a 1 hour workshop around the theme of Innovative Marketing, Communications and Blogging. The quality of the keynote and plenary speakers was outstanding and, interestingly for me, most of them came from outside of the education sector. This enabled them to share insights from a wide range of backgrounds including business consultancy, technology incubators, advertising, governance in the health sector, along with some educational specialists. A review of some of the speakers is further down this post. The delegates attending our breakout session actually clapped at the conclusion of the second video, suggesting the continued resonance of earthquake stories from the Canterbury region. 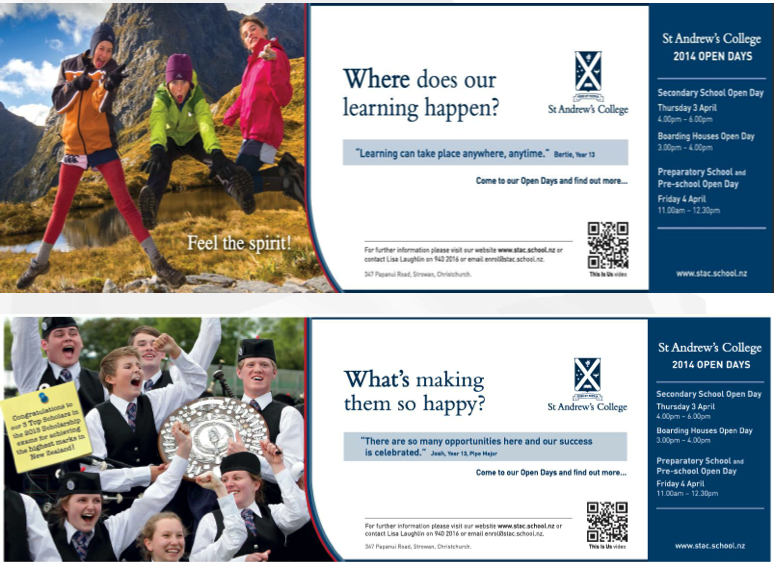 Official eLearning Blog – this blog, show casing innovative and engaging eLearning stories from around St Andrew’s College. 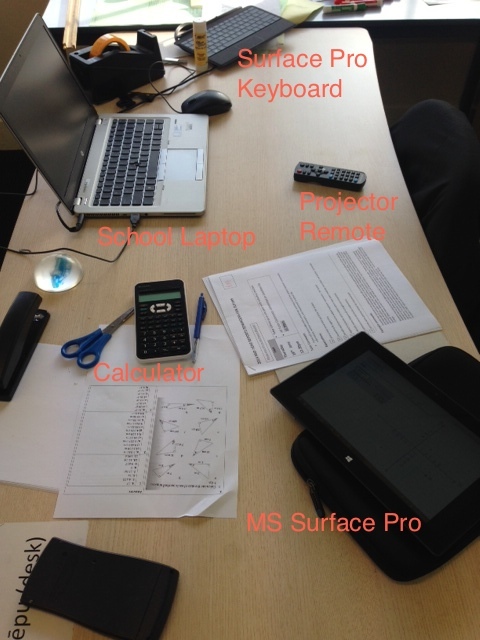 Microsoft NZ Education Blog – a couple of our posts around MS OneNote have been re-blogged. NZ Science Teacher – profiling Matt Nicoll’s work with videoing his lessons. Finally, through this blog promoting our teachers’ innovation in the classroom, we were approached by Bradley & Montgomery Advertising Agency on behalf of Microsoft to explore creating some videos of our teachers talking about use of MS OneNote in the classroom. These “unintended” marketing opportunities have reinforced the importance of celebrating the stories of our teachers and students in a range of different ways and tied in nicely with messages from the keynote and plenary sessions. I was recently reminded by Stephen McConnachie at Middleton Grange School of the excellent Wolfram Demonstration Models available online and I have explored the ability to embed these directly into Moodle, our Learning Management System. These interactive models allow students and teachers to directly manipulate animations to increase understanding of complex ideas such as insulin molecular structure, radial engine design and how microwave ovens work. Wolfram Demonstrations uses CDF Technology (Computable Document Format) to deploy the interactive demonstrations to any standard web browser – a plugin approximately 230MB in size. The Wolfram Demonstrations pages were created to support Wolfram Mathematica users. Anyone wishing to create their own demonstration model must submit their examples to Wolfram Research where a full vetting for accuracy and completeness takes place. Curriculum areas that have Wolfram Demonstration Models available. These demonstrations represent an excellent additional resource that teachers can take advantage of, particularly when trying to aid student understanding of complex ideas. I will be promoting these to our staff and beyond for inclusion into Moodle courses within the College. 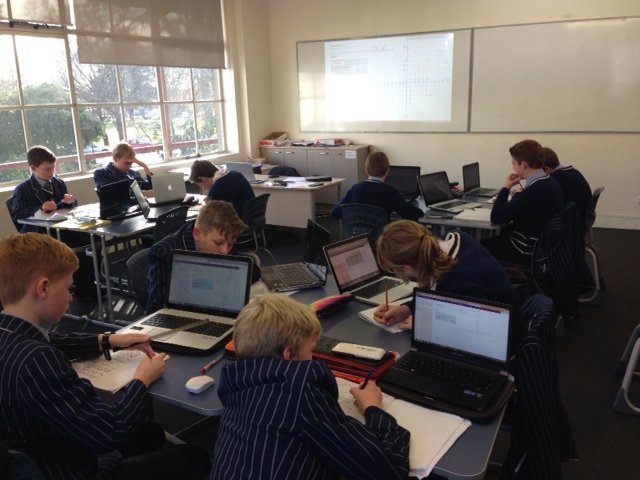 This morning I was invited by Mr Ben Hilliam to sit in and observe one of his Year 9 Math classes. 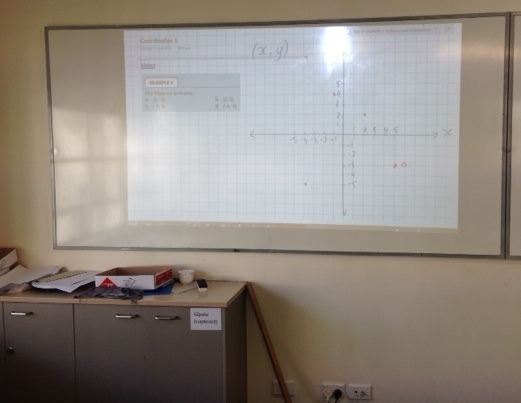 I was keen to do this as I knew the Maths Department had been experimenting with the combination of MS Onenote, a Microsoft Surface and a Miracast device to wirelessly broadcast the screen of the tablet through the classroom projector. All students in this Year 9 class have read only access to this OneNote notebook so they can revise at anytime, and in this instance the lessons were being recorded for a student that was absent for the week. Once uploaded to YouTube, the link is inserted into the Notebook for student access. What impressed me about this section of the lesson was the ease of the technology – it essentially existed in the background and in many ways, it was a direct substitute for the role of a whiteboard. Mr Hilliam was still asking students questions back and forward and they were still coming up and pointing to places on the graph on the projected image on the whiteboard to indicate their answers. The big difference however was that this was being recorded digitally for later revision. 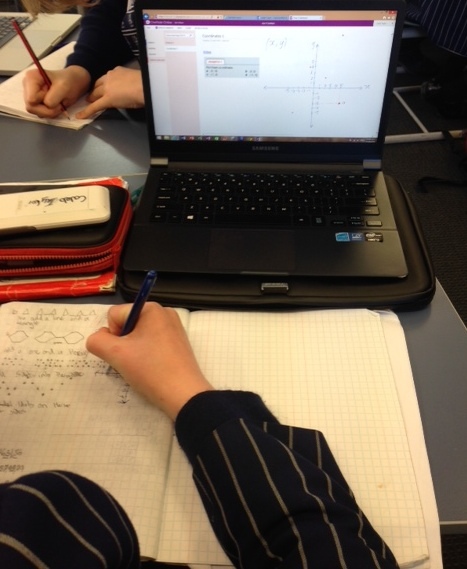 The teaching in this Year 9 Math class falls clearly in the augmentation range – the teaching is not obviously different however the technology operating in the background provides massive functional improvement. Students, both those absent and physically present in the class, can all revise the concepts being taught at anytime. A student reviewing the MS OneNote content recorded moments earlier by Mr Hilliam, and then practicing in his exercise book. Whilst the phrase “ubiquitousness of technology” is over used, this lesson did demonstrate that when used effectively, the technology is not at the forefront of the lesson. It was not gimmicky or flashy, instead it provided functional improvement to what was already a great lesson. 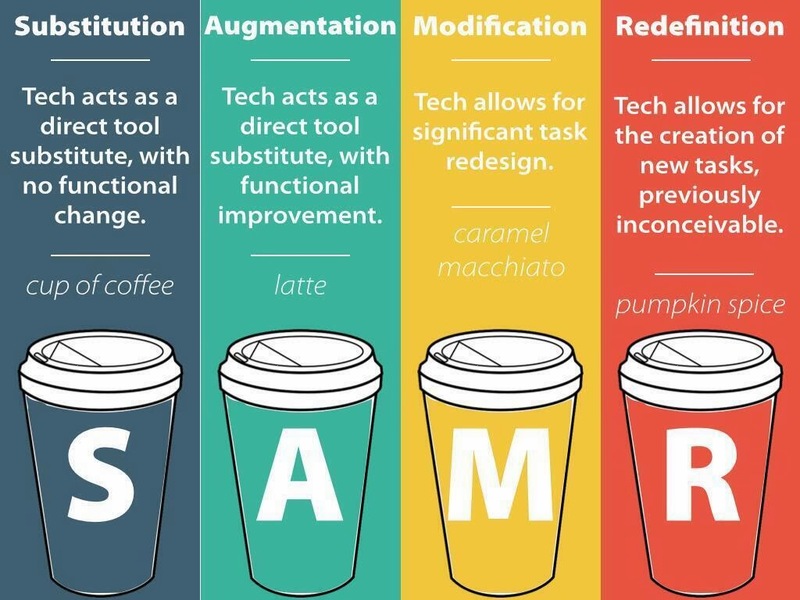 I am excited to see how other curriculum areas make use of technology like this in their classrooms and will blog about these in the future. As the Director of ICT it’s important for me to support initiatives like this that trial how new technologies can be used in the classroom. On my recent trip to Edutech 2014 I trialled a MS Surface Pro 3, some of the only demonstration units outside of the USA, and was very impressed. I have pre-ordered one for our staff to trial once it is released and am interested to see at what point in the future touch screen devices like this may replace the traditional laptops given to staff. 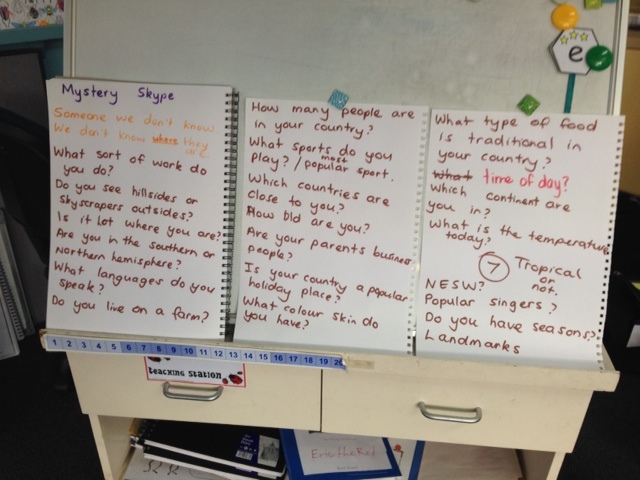 On Friday 23rd May Yr3 students engaged in an eLearning first for St Andrew’s College – a Mystery Skype! An educational game, invented by teachers, played by two classrooms on Skype. The aim of the game is to guess the location of the other classroom by asking each other questions. In the end, Avondale’s questions of “What continent are you in” and “What is the most popular sport” allowed them to correctly narrow down to New Zealand, whilst probing questions like “Are you south of China” helped our students locate Singapore. I have written previously about the benefits of harnessing Skype to pull experts into our classrooms, and I am delighted at the prospect that through this initial Mystery Skype, these two classrooms may be able to reconnect and share other learning experiences with each other. Ultimately, it is these types of learning experiences that excite me so much about the possibilities of technology in education. 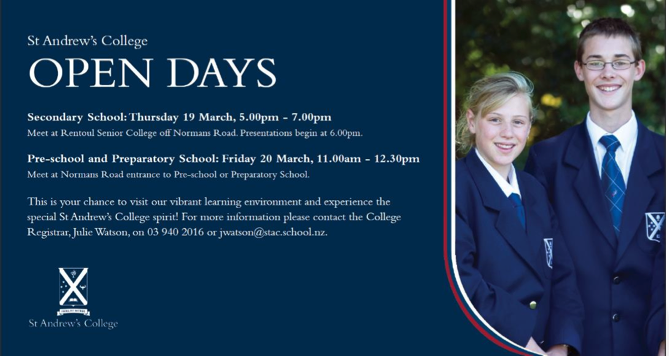 It is easy to expand the horizons of our students through connecting them with others all around the world, whilst keeping the learning engaging, relevant and fun. I am looking forward to introducing other teachers at St Andrew’s to the rewarding experience of Mystery Skype sessions. I recently sat down and chatted with Mrs Natasha Derry, a new teacher in the English Department at St Andrew’s College this year, and she talked about a lesson sequence she had just finished as part of lead in to teaching the play Twelve Angry Men. One of the wider goals of the English Department in 2014 was working on the listening skills of students and so with this Yr12 class Mrs Derry decided to combine the intriguing story of Cornealious Michael Anderson with a radio broadcast on the internet from the website thisamericanlife.org. By using a radio broadcast, albeit from the internet, instead of a video clip from the many TV news articles that ran about Anderson, students would need to actively engage in the listening process. Helpfully, the website also provides a transcript of the radio interview which in this case allowed students the benefit of listening and reading to review what they had heard. 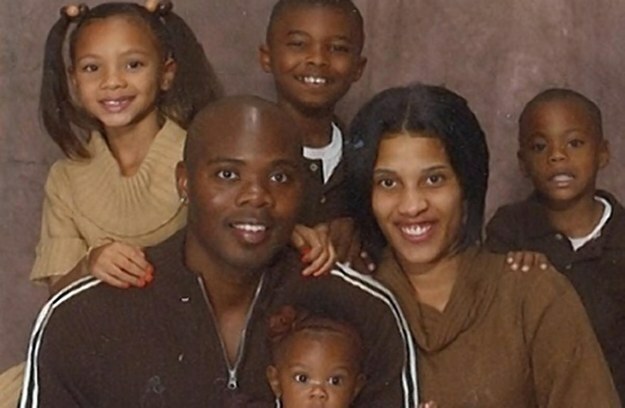 Mike Anderson was 36 years old, married, a suburban father of four. He owned a contracting business and built his family’s modest, three-bedroom house in St. Louis from the ground up. He volunteered at church on the weekends and coaches his son’s football team. All pretty normal, right? Except for one thing … which surfaced one day last summer. That one thing was 13yrs ago had he been convicted of armed robbery, before posting bail pending the outcome of his appeal. When the appeal was rejected he expected to be collected and imprisoned for 13yrs. Due to a clerical error this never happened, and it was only when they came to “release” Anderson, was it discovered he had never served his time. 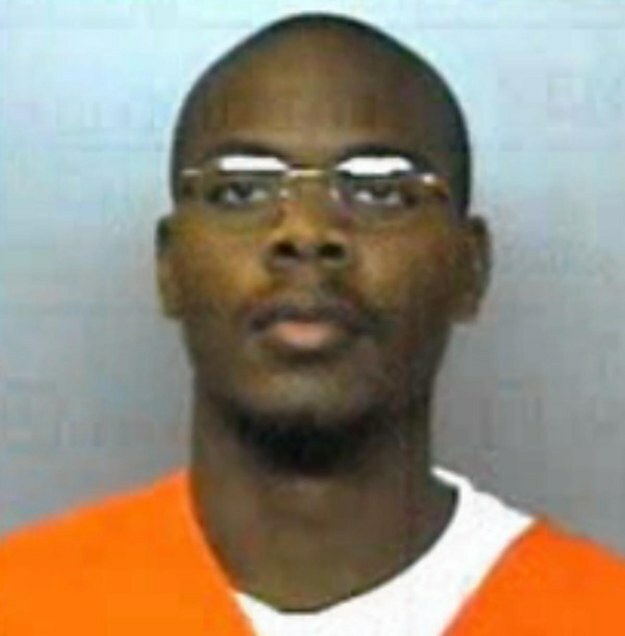 The students listened attentively to the 16mins in the radio broadcast, before being asked to decide whether Anderson should still serve his prison time, and to reflect their decision by standing in different areas of the room. Each group had to elect a foreman such as a jury might have, who would then represent the group, explaining the basis of their decision. As we discussed this use of internet based radio broadcasts, we considered what the next steps were in consolidating the themes. One outcome from this was the possibility of leveraging Skype in the Classroom to bring an expert on the law “into the classroom” with a number of District and High Court judges as possible candidates through connections with the College. I hope this comes to fruition as it would again highlight the important role that technology can play in making the learning authentic through connecting texts with real life events, people and experts – all of which are important factors in engaging our students.